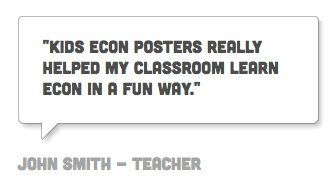 The KidsEcon Posters Activity Cards are a great way to reinforce the lessons taught on the KidsEcon Posters. Each deck contains 88 economic concept cards (four of each concept), and six special 'Wild Cards" (four Econ Ed and two Econ Edna cards). 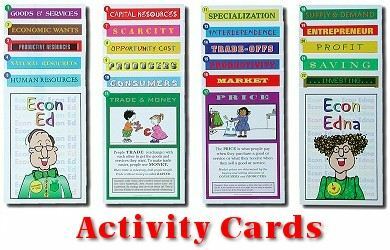 Your students can use the cards to play classic card games with an economics twist, like: Old Maid (Old Edna), Concentration (EconCentration), Go Fish (Go Econ), Crazy Eights (Crazy Eds), and others. Game rules are included.